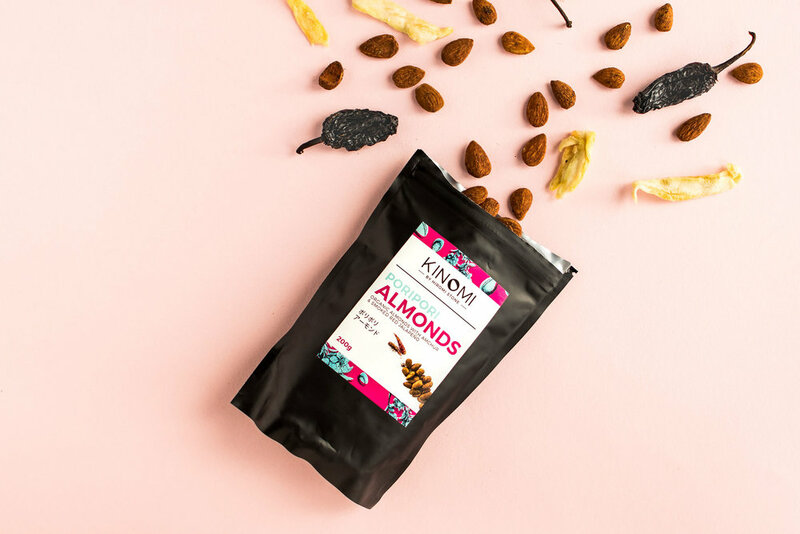 Every flavour in the Kinomi range is subtle, refined and sophisticated, enhancing the natural nuttiness with experimental spice blends. 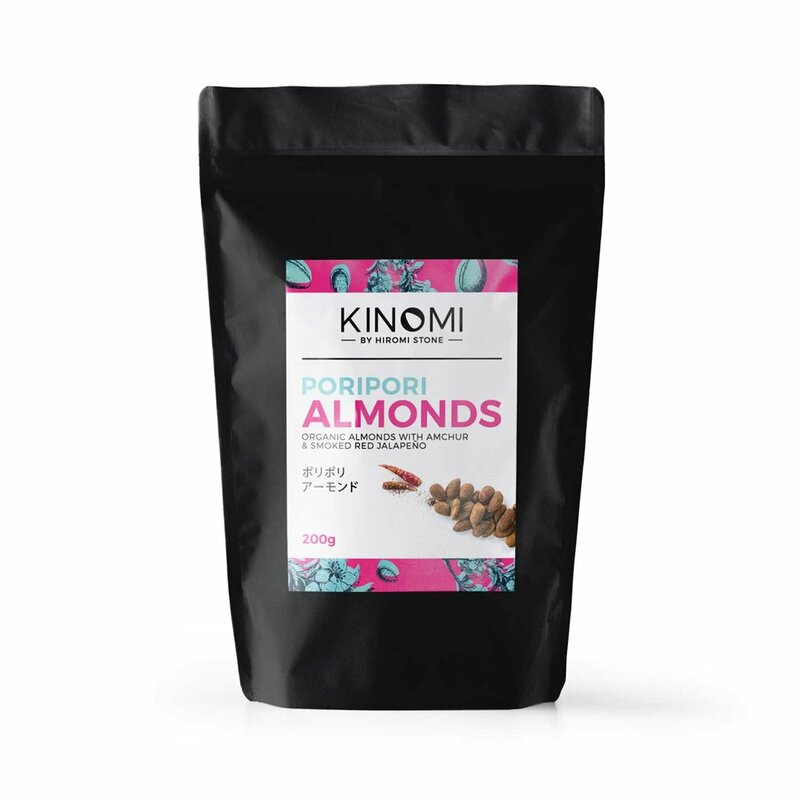 Pori Pori is the sound you make when you nibble on something and these organic Spanish almonds are very nibble worthy. Coated in the signature Kinomi glaze of soya sauce, kombu and sake and finished off with a sprinkling of smoked red jalapeno and amchur (green mango), they are smoky, spicy and tangy. Just amazing. organic almonds, gluten free soy sauce [water, soybeans, salt, spirit vinegar], sake, kombu, amchur, smoked red jalapeno. Waku Waku is a Japanese word meaning a state of anticipation or excitement which is what you’ll experience when you open a tube of these cashews. Gorgeous organic cashews from a cooperative in India, so sweet and creamy; coated with the Kinomi signature soya glaze of soya sauce, kombu (seaweed) and sake topped off with a dusting of arctic seaweed and sumac for a truly unique taste. 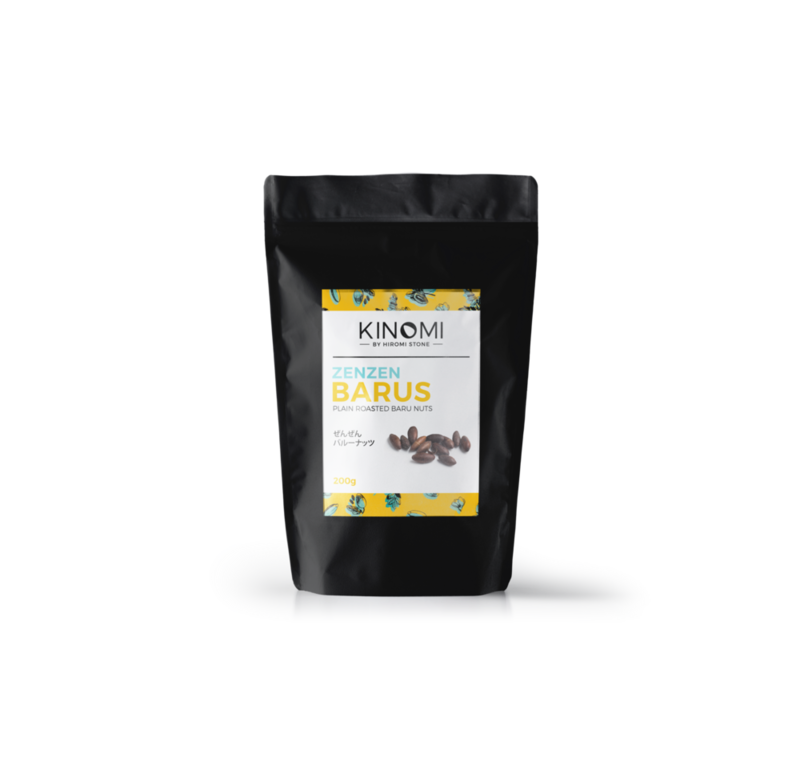 It is a big hit of umami sure to excite your taste buds. Bari Bari is a loud crunchy sound in Japanese and these baru nuts have a very loud crunch. Baru nuts grow wild in the Brazilian savanna (cerrado) and plays a crucial part in maintaining the eco system of the Cerrado and the Amazon. We coat the nuts with the signature soya glaze and sprinkle them with a cumin, coriander, lime and chilli spice mix. Baru nuts, gluten free soy sauce [water, soy beans, salt, spirit vinegar], sake, kombu, cumin, coriander, chilli, lime. Zen Zen is Japanese slang for totally, or this case nothing but barus. Plain roasted crunchy baru nuts are a great snack on their own or you can use them as an ingredient in anything you fancy; granola, in salads, in your energy balls - the list is endless. 1 Baru nuts are wild nuts that grow in the cerrado; the savanna located in central Brazil. 5 Baru nuts cannot be eaten raw but when roasted, their amazing nutritional properties become easily digestible. Try all three flavours with our sample packs!